Why does my beer look hazy? 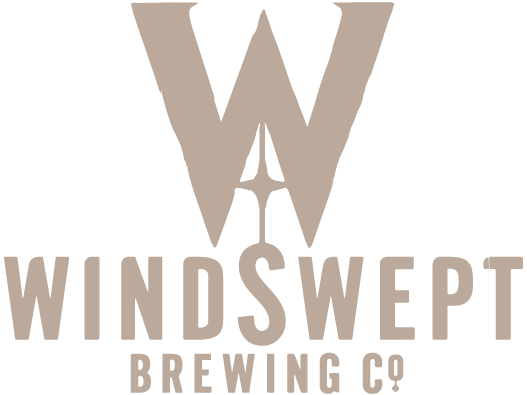 How best to pour my Windswept beer? What does bottle conditioned mean? These are probably three of the most frequently asked questions we get and so here is a quick guide to Bottle Conditioning and what it all means. Bottle conditioning is where we take some live yeast and put it in the beer at the bottling stage. This triggers a secondary fermentation of the beer leading to a natural carbonation. This is a process that has been happening for hundreds of years and is a technique favoured by the exceptional brewing nation of Belgium and more recently in the US craft beer revolution. Bottle conditioning means we don’t rely on forced carbonation of our beers through the use of carbon dioxide. Why do we bottle condition our beers? Quite simply we think it gives a better flavour and allows the beer to develop in the bottle. In addition this natural carbonation process leads to finer, more champagne-like bubbles which again we think helps to enhance the flavour and gives the drinker an experience more akin to drinking a cask ale. So why does that make my beer hazy? Your beer contains a live product – yeast. This yeast is alive – cleverly propagated by our very own Windswept Brewing team – and as you now know, creates the lovely, light, gentle bubbles you get in our beer. The haze comes from the yeast sediment (and perhaps a little from the hops) that when left to settle will drop to the bottom of the bottle. If the bottle is jiggled about that sediment rises up and creates a haze. And that brings us neatly to……how best to store and pour my beer? Well, we would always recommend keeping the beer upright in a cool, dark place until you are ready to drink it. If your beer has moved about then let it settle for a while and then open and pour gently into a glass. Don’t tilt too much or the sediment will become stirred up again and pour into your glass. Don’t panic though if you get the yeast in the glass, it is perfectly safe to drink, in fact it is a good source of vitamin B. Hope this short guide has answered some of your questions. The short film below will tell you more or head to our online shop so you can have a taste for yourself!